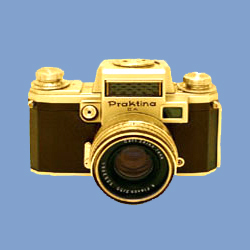 In September 1954, at the Leipzig Trade Fair, the Kamera-Werke released the third generation of Praktina cameras with the mechanism to release the spring-mechanism of the semi-automatic lenses produced by Carl Zeiss Jena. 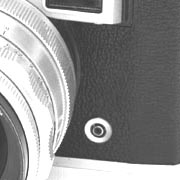 Externally the body is identical to the version 2 of model M.
In this model the internal actuating pin moves forward when the shutter release is pressed, and the diaphragm will automatically close to the pre-selected aperture. 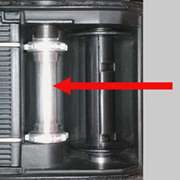 The diaphragm will remain closed until it is reopened manually after each exposure. The version 1 has a black sprocket spool while the version 2 has a silver sprocket spool. The previous "A" model, versions 1 and 2, has been changed in "SA1", versions 1 and 2. • Camera type: 35mm single-lens reflex camera. • Picture size: 24x36 mm on standard 135 cartridges. • Lens mount: Praktina breech-lock lens, bayonet mount. • Lens diaphragm control: for semi-automatic lenses (SB). 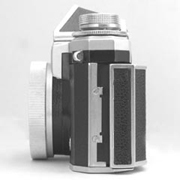 • Viewfinder system: interchangeable eye-level viewfinder or waist-level viewfinder; lock lever of viewfinder on the bottom-camera with marks "A" and "Z" (open and locked); interchangeable focusing screen, matte or matte with split-image rangefinder; eye-level optical finder incorporated in the camera body. 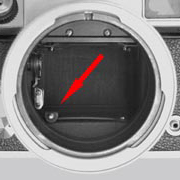 • Shutter: horizontal-travel focal-plane shutter with cloth curtains. • Shutter speed dial: single-axis non-rotating dial, placed at the base of the winding knob. • Shutter speed settings: B, 1, 2, 5, 10, 25, 50, 75, 100, 200, 500, 1000. • Shutter release: Shutter release button, with standard thread for cable release, positioned on the front of the body, sloping with an angle of 60°. • Self-timer: with a 10-second delay; the lever is positioned below the shutter release. • Flash connection: one standard X coaxial contact for bulb and electronic flash units. • Film winding and shutter cocking: knob. • Frame counter dial: placed at the base of the winding knob counts in ascending values; manual reset. • Film reminder dial: placed at the base of the rewinding knob, sets 10-23/10 DIN film speed or two different types of color film. • Mirror: returns with the film advance. 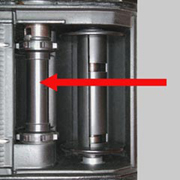 • Motor coupling: bottom-camera coupling for motors and lever trigger. • Camera back: hinged and removable, interchangeable with 17m Magazine Back. • Serial number: stamped inside the camera body, in the film cartridge chamber. • Dimensions and weight: (without lens and finder) Height 85 mm, Length 147 mm, Depth 59 mm, Weight c. 570 g.